The revised Laboratory Manual entitled â€˜Recent techniques in feed and fodder evaluation for assessing feed quality and safetyâ€™ compiled and edited by Dr. Ashis Kumar Samanta and Dr. Raghavendra Bhatta and is available for sale. 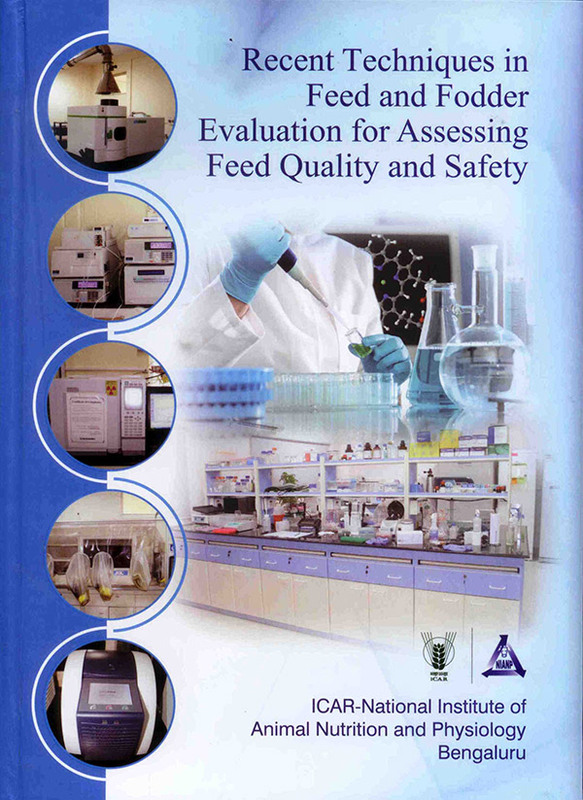 The second edition of the laboratory manual entitled â€œRecent techniques in feed and fodder evaluation for assessing feed quality and safetyâ€ included both older and advanced techniques keeping in mind the latest developments in animal nutrition. The primary aim of the present edition is to have an unique manual that will cater the needs of a wide range of clients belonging to both academics and industries for undertaking feed and fodder evaluation, enriching the science of animal nutrition in order to benefit the livestock sector with due respect to consumer awareness, environment, animal welfare and public health. Presently, the challenges of animal nutrition research are much more complex than past because of several emerging issues including climate change, consumer awareness and specific demands, animal ethics and welfare, lifestyle disease, faster pace of scientific developments. Keeping in sight the present challenges coupled with future livestock scenario, the second edition of the manual incorporated most of the pertinent research techniques covering principles of good laboratory practice, feed evaluation, animal trial, enzyme assay, solid state fermentation, rumen metabolites, micronutrient quantification, prebiotics, gut microflora enumeration by classical culture dependent and independent protocol, plant phenolic compounds, heat shock proteins, methane estimation, life cycle analysis, mycotoxin assay, hormone estimation, antioxidant enzyme etc. At this juncture, the editors always look forward for suggestions and comments from the readers regarding the usefulness of the present edition of laboratory manual for all practical purposes.